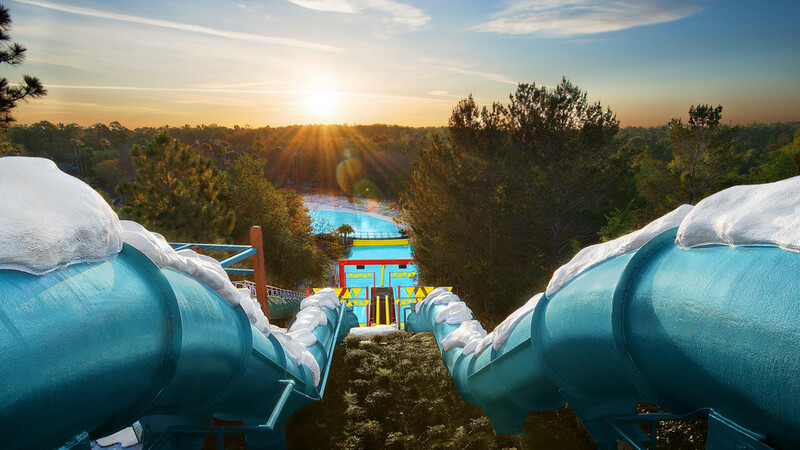 This adrenaline pumping attraction’s slides are 50 feet (15.2 m) high and are 230 feet (70.1 m) long. Guests travel up to speeds of 25 mph (40 km/h) on these twin inner tube runs as they race. Time clocks count-off each downhill heat and the runs are outfitted with automated audio equipment that signals the start of each race.